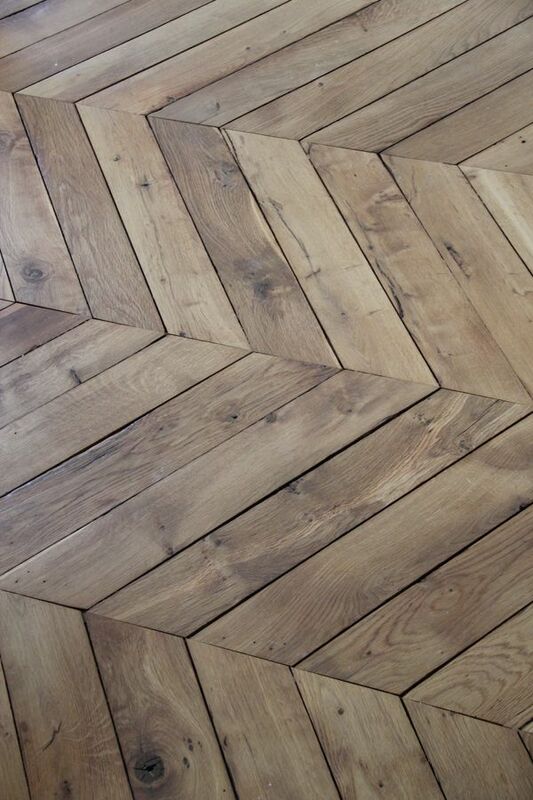 This Certified Flooring Expert is having a Herringbone moment. And, why not? The zig and zag pattern is trending in popularity and better yet has timeless appeal. But, alas, nothing is ever a simple zig or zag, now we have choices. Chevron, herringbone, flame stitch … all zig and zag but have specific details that one should consider when choosing types of flooring. So is it really that I have a herringbone to pick or maybe I really want a chevron or flame-stitch? What exactly is the difference and what do the differences mean in terms of flooring? The herringbone pattern is the placing of rectangles in a pattern. It is the most common zig zag as it requires less cuts with its softer angles. And then, there is the flame stitch. This design is usually multicolored sharp peaks in a varied pattern, it resembles – yes, a flame. This pattern is most popular in fabrics, carpet weaves and accent tiles. Common in patterns that a cool and updated vibe but also offered in lighter, timeless offerings, the flame stitch is also ideal when choosing carpet for areas with heavy traffic. So the moment of truth? 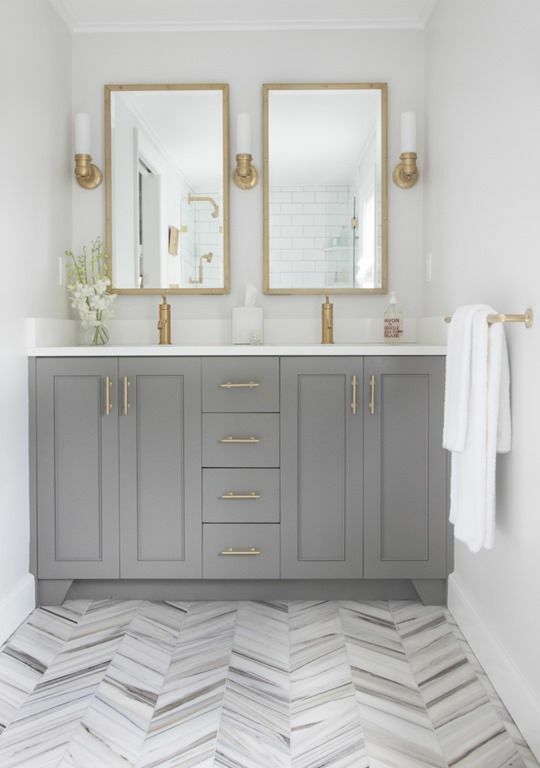 I love them all … but herringbone doesn’t cost more (and this certified flooring expert is all about design on a budget) and provides great timeless design. What to do before you have new floors installed. So you’ve made the ever so important decision and selected the perfect new flooring for your home. That was the hard part right? But what happens next? How do you prepare to have new floors installed? What do you need to do next to complete the project? Here are a few tips from our Certified Flooring Experts to help ensure the success of your flooring installation. 1. Select the flooring contractor to install your new floors. This is really important because a good flooring installer can work with the product selection and know exactly what needs to be done and be able to make adjustments to ensure the finished product is perfect. If you purchase the materials yourself, ask your contractor beforehand of exactly what is needed before the project begins. 2. Measure (twice) to purchase all materials needed. Depending upon your product selection, the proper installation will require padding, underlayment, tar roofing paper (for hardwood), or thinset (tile). You will also need transition pieces such as quarter round molding to cover the space between your new flooring and the walls or baseboards. 3. Your product needs to acclimate to the temperature in your home. Wood and laminate will expand and contract under natural conditions. To reduce this movement, give your floor 2 to 3 days to get used to the climate conditions in your home. Flooring likes climate control. Keep your AC/Heat system at a steady temperature before and after your floors are installed to minimize changes in temperature. Once your product is ready to go, remove your furniture and existing flooring. Your flooring expert should fix any squeaks and level the subfloor. (Make sure this is included as part of the installation process). Keep your eyes open and look for matching lines. Make sure the joints and connections make sense. Does the pattern work? Asking questions, staying informed, and working with a good flooring contractor equals a high quality installation, ensuring your long-term satisfaction. Classic White – Not Grandma’s Kitchen After a seemingly endless winter, it’s time for spring-cleaning! And, there’s no better way to renew, refresh and clean up than with a good remodeling! Just as spring expresses flowers and fresh linens, express your fresh new look with tile, hardwood, laminate or one of the amazing new vinyls on the market. And, while we love the classics, we want our “new and fresh” to pop … no boring allowed! None of which comes to mind when you read “White Kitchen.” Well, we had similar thoughts, until the insatiable draw of Pinterest discovered boards dedicated completely to white kitchens. Oh the appeal! Definitely clean, sleek, and timeless is the white kitchen. But is white practical as well as desirable? White kitchens make the room feel spacious and warm. White is a timeless color. And, surprisingly, white is the most “marketable” color. A white kitchen never goes “out of style.” White appliances are typically in stock and usually cost less than other finishes. Bonus! That leaves you extra money to spend on your flooring. 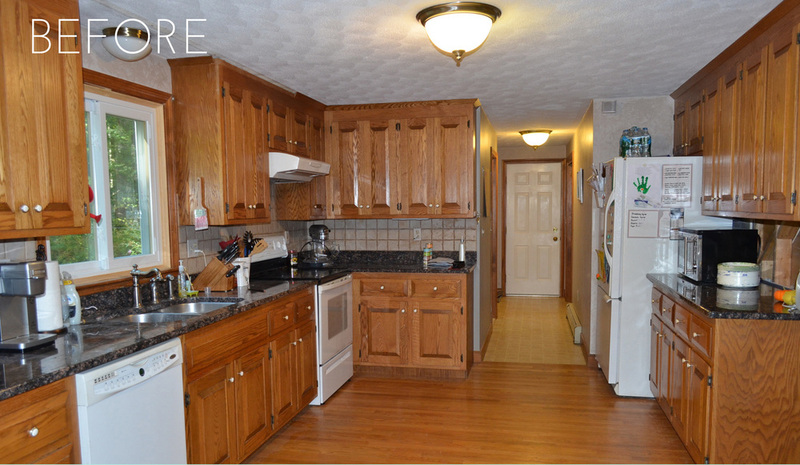 White minimizes nicks, chips and blemishes on both cabinets and appliances. In general, white allow for easy updating of any kitchen. Naturally, flooring becomes a focal point in white kitchens … bonus! Hardwood flooring an excellent match to your white kitchen! And, dark hardwood flooring looks absolutely chic. Besides being trendy, hardwood floors provide a cozy, warm feeling, much like white kitchens. Hardwood floor is also incredibly durable, something very important for a kitchen. Best of all, hardwood provides a good return on your investment should you choose to sell your home. (Always think ahead!) If hardwood is not in the budget, there are gorgeous laminates available at lower price points and even some remarkable resilient vinyl styles that will bring the spring inside. Go ahead, brighten and whiten your kitchen this spring!